Disney Channel has picked up a second season of the highly-acclaimed show, Coop and Cami Ask The World, so you all know what that means right?! It means we get to see a whole lot more of the fantastic Albert Tsai on our TV screens. YAY!! Albert Tsai is definitely one of our favorite actors and he brings so much excitement to our TV screens. We love seeing what kind of hilarious challenges Albert Tsai’s character Fred gets into in new episodes of Coop and Cami Ask The World. This show became an instant hit as soon as it aired and we’re so thrilled that a new season filled with more magnificent episodes is in store. Albert Tsai has also starred in many other outstanding projects including Trophy Wife, Dr. Ken, Fresh Off The Boat and many others. In every project that he works on, Albert Tsai always stands out with his brilliant, acting talent and his professionalism. Albert Tsai has accomplished well beyond his years. In fact, he has been nominated for several awards including “Best Supporting Actor” at the 2014 Critics’ Choice Television Awards and he has also been nominated at the prestigious Young Artist Awards. Albert Tsai always does a remarkable job in everything that he works on and we are so happy to continue to join him on his spectacular journey in the entertainment business. He continues to grow as an actor and as a fine gentleman. Albert Tsai truly deserves all of his successes and he is definitely making a wonderful mark in the acting world. I, Alexisjoyvipaccess had the honor of covering the 2019 Nickelodeon Kids’ Choice Awards and had a terrific time catching up with and interviewing the phenomenal Albert Tsai again at the event. Albert Tsai dished exclusively to Alexisjoyvipaccess all about what he was looking forward to the most at the KCAs, what his reaction was like when he found out that Coop and Cami Ask The World was picked up for a second season and so much more only in our VIPAccessEXCLUSIVE updated interview. Albert Tsai even revealed what he would like to see happen to his character in the second season of Coop and Cami Ask The World – hear what he had to say in our VIPAccessEXCLUSIVE updated interview below. Thanks for another amazing interview, Albert! 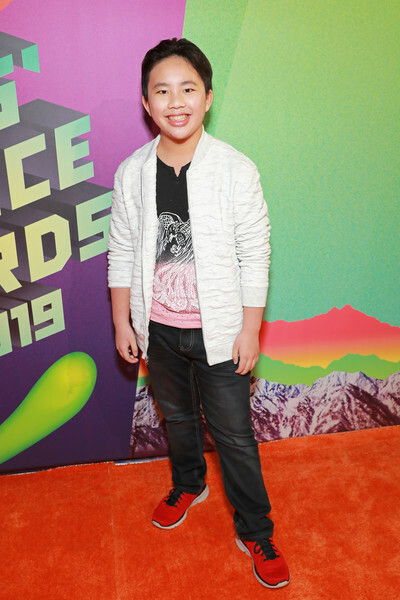 Check out my VIPAccessEXCLUSIVE updated interview with the multi-talented Albert Tsai at the 2019 Nickelodeon Kids’ Choice Awards below! Previous VIPAccessEXCLUSIVE: Madisyn Shipman Interview With Alexisjoyvipaccess At The 2019 Nickelodeon Kids’ Choice Awards! Next VIPAccessEXCLUSIVE: Xolo Mariduena Interview With Alexisjoyvipaccess At The 2019 Nickelodeon Kids’ Choice Awards!